So here we are. Already inching our way into the Fall, with Halloween and other harvest events just around the corner. My family is actually headed to our first holiday event of the season this weekend at Walt Disney World for Mickey’s Not So Scary Halloween Party. We’ve attended this party every year since my daughter was two (she’s now ten! ), and one of the highlights, for me, has always been the scrumptious Halloween-themed treats for sale at the Main Street Confectionery. Back when we first started attending, these chocolate-covered goodies we’re only $2.50 — now they’re at least $5 a piece! With so many other wonderful treats in the park to partake in (hello, Dole Whip! ), even I have to draw the line somewhere. Thankfully, I have a solution— making my own batch of soft and gooey, gourmet Candy Corn Krispies Treats in time for the party. This way I don’t feel like I’m missing out, and I have plenty of extras to share with my family for practically the price of one in the parks. 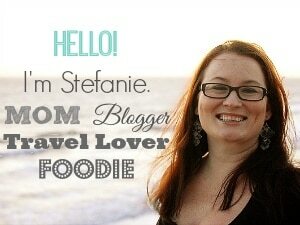 I hope you enjoy this recipe as much as I did! 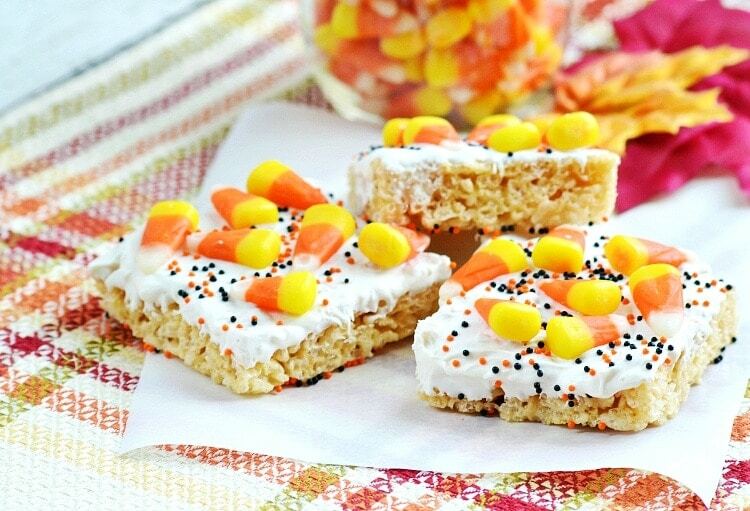 Dress up plain Rice Krispies Treats for Fall or Halloween with white chocolate, candy corn & sprinkles! 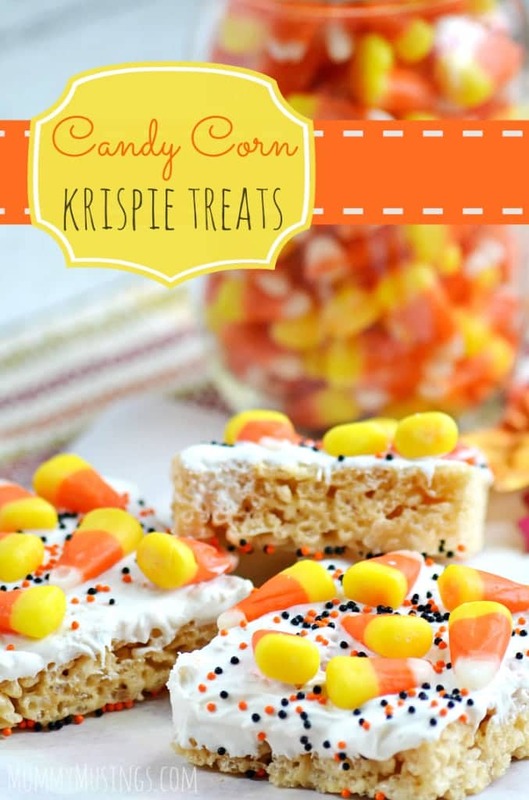 Candy Corn Krispie Treats are easy to make and fun to eat! In large saucepan or stockpot, melt butter over low heat. Add marshmallows and stir until melted. Remove from heat. Using oiled spatula or wax paper, evenly press mixture into 1″-2″ pan coated with cooking spray. Let cool. (This would be a good time to prep candy melts). Melt one bag of Wilton Candy Melts in microwave or double boiler. You can easily make your own double boiler with a saucepan and a heatproof bowl (glass, metal, Pyrex). Fill the saucepan with 2 inches of water and bring to a boil. Place heatproof bowl with melting chocolate on top of saucepan, making sure the bowl fits snugly. Add 2 tablespoons shortening or oil to melted chocolate. Stir. This additional step yields a smoother melting chocolate. Dip the top of each krispie treat into the melted chocolate. Set on parchment paper and top with candy corn and sprinkles. Let set to harden or transfer parchment paper to fridge for quick set. ENJOY!! These look delicious and so festive. I’m definitely going to have to make these! Can I make these with white chocolate instead of the Candy Melts? That shouldn’t be a problem!